The Canola Council of Canada has a bold goal to reach an average yield of 52 bu/ac by 2025. A key to successfully reaching their goal is to foster a better understanding of the best agronomic practices for every soil zone and every field. 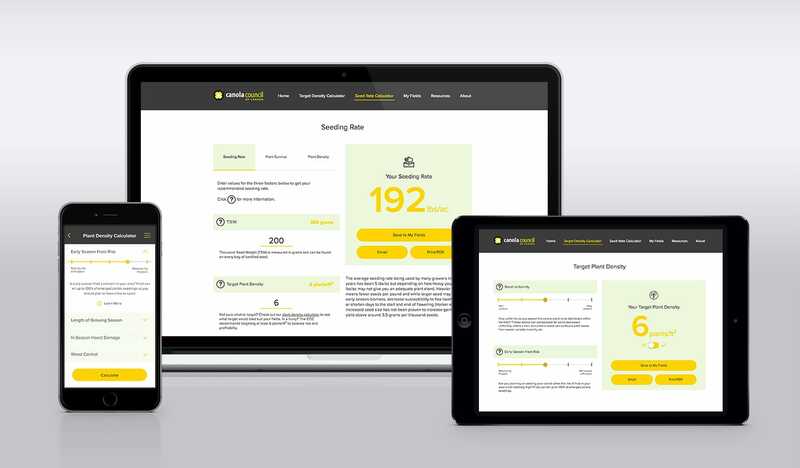 With the target density calculator, users position sliding scales to determine the level of risk for various factors that influence plant stand targets. If weed competition is expected to be very low, for example, the calculator will set a lower target stand. But if spring frost risk is high, the calculator sets a higher target stand to compensate. The seeding rate calculator has three modes to inform decision making. In seeding rate mode, users input thousand seed weight (TSW), target plant density and estimated seed survival, and the calculator computes the required seeding rate. 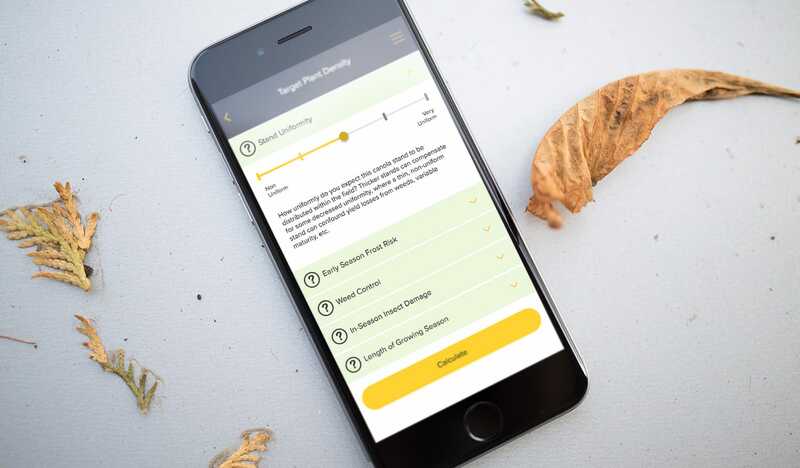 In plant survival mode, users enter the number of plants per square foot that emerged along with known TSW and seeding rate, and the calculator gives the seed survival rate. In plant density mode, the calculator takes TSW, seeding rate and estimated seed survival to give the number of plants that should emerge. Tactica successfully delivered this innovative agriculture app on time and on budget. 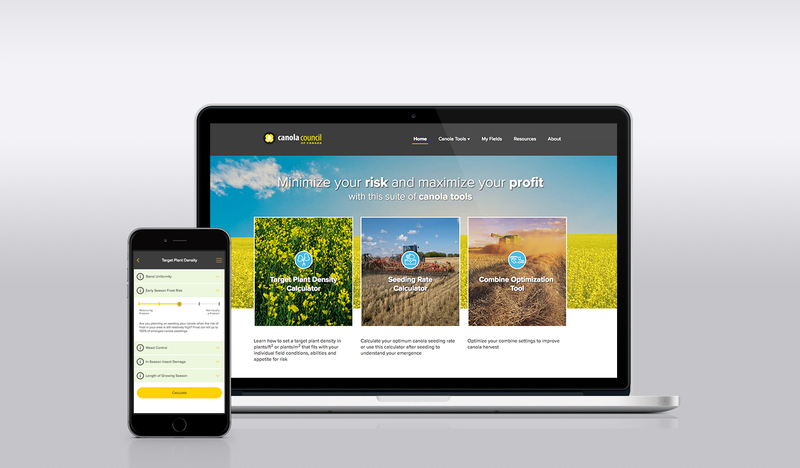 The Canola Council is currently promoting the app to growers nation-wide because of its importance to the long term goals of the industry. The Canola Council of Canada is a non-profit organization that encompasses all of the links in the canola value chain in Canada. Our mission is to advance the growth and profitability of the canola industry based on innovation, sustainability, resilience and the creation of superior value for a healthier world. Our goal is to ensure the industry’s continued growth, demand, stability and success.